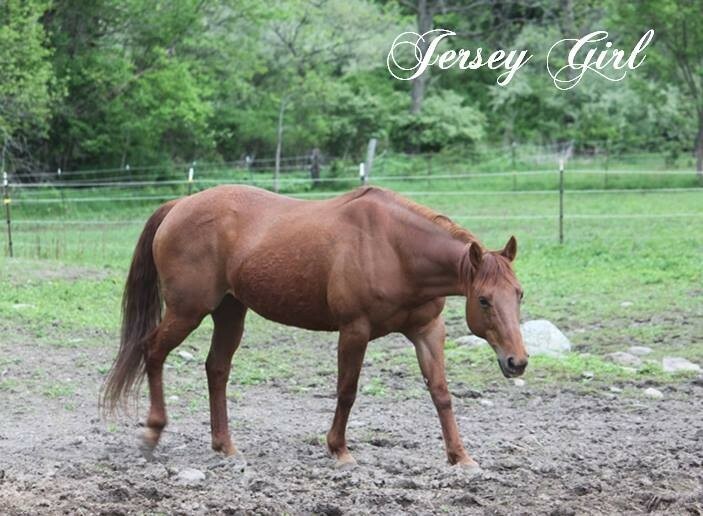 Pulled from the kill pen out of New Holland PA. Jersey has had 7 Homes in her short 13 years of life, 4 Prior to coming to the Rescue & 3 after being rescued from certain death. She was Rescued and re-homed 3 Times Through the rescue, this precious soul has found her way home to the Sanctuary 3 Times which now makes her a Rescue Resident. You see...our Purpose is to give the Horses what is actually best for them and considering she has been homed & returned by no fault of her own she will remain a Resident at the sanctuary. It's the quality of life for the rescues that we are concerned with rather then flipping horses just to get them out of the Sanctuary.